I think that a lot of people will agree that Google’s Chromecast is a great bit of technology; it allows users to easily “cast” video from various sources, whether it’s YouTube, Netflix or perhaps some home movies or pictures you have stored on your phone. Also, on some supported Android devices users are able to mirror their devices screen. Since its release, Google have added some great new functionality and today the search giant have added another one; a new feature called Guest mode. 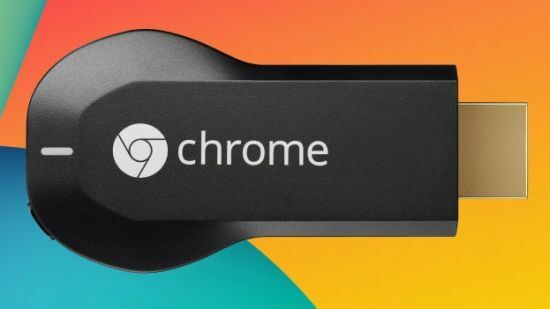 Now, for anyone who has used a Chromecast, they’ll know that in order to be able to send content to the device, they have to be connected to the same Wi-Fi network. Which, to be honest, is a bit of a hassle especially if you have friends or family around and they want to stream some of their content on to your Chromecast; it meant that you have to give them your Wi-Fi password (which you may not want to do), but now instead of doing that all you have to do is simply select the Chromecast you want to connect to via the app, then enter the PIN displayed on screen – job done. Potentially the new Guest Mode might be beneficial in other scenarios, for example, if you are on holiday and the TV in your room has HDMI but you are unable to get Wi-Fi, in theory you can simply connect direct to the Chromecast and stream any movies, pictures or music you have on your phone straight to the TV in your holiday accommodation. To take advantage of the new feature on your Chromecast, make sure you get the latest update of the Chromecast app for Android, then from the menu select Device, choose your Chromecast and select Guest mode to turn it on. Initially you have to be connected to the same network to enable this feature, but once on, friends and family can stream content direct to your TV. Guest mode on Chromecast is available on any Android device running version 4.3 or higher, unfortunately for any iOS users who have Chromecast the feature is not supported. Make sure you check out video below for a quick introduction to how it works.